This entry was posted in Balance, Simplicity, Victory! and tagged available, balance, busy, busyness, choice, community, deliberate, detail, focus, following, intentional, journey, logic, maintain, memories, overload, pray, problems, read, resources, rest, seeing, simple, simplicity, simplify, struggle, teaching, time, trapped, value, victory, witness, words, work by admin. Bookmark the permalink. The Amish always fascinated me in a way. I remember working at a hotel and we had a bunch of Amish pass by. I guess they were some variant of Amish that used cars. They came up to me and asked me a question as if they had a bet riding on my answer. They asked me which way west was. I looked at the rising sun, pointed in the other direction, and they all laughed hardily. I've always wondered what was so funny. 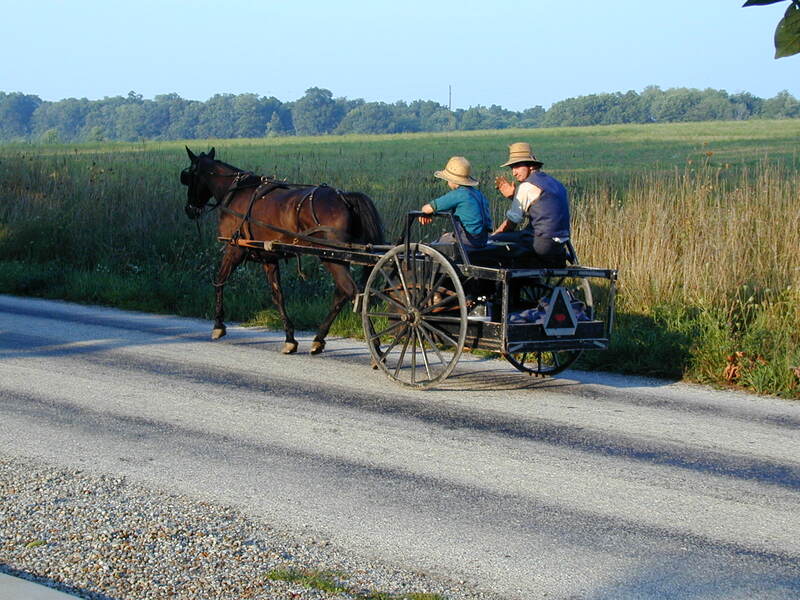 The people you met at that hotel were probably Mennonite, which are close to Amish but not quite as conservative and are technically not Amish. Both were a part of my childhood but the Amish definitely more so. I must admit I don't live a simple life. At least it doesn't feel simple. Yet, when I look at those around me, and see that my focus is God, family and friends, suddenly I feel very simple. I don't go out partying, I'm committed to my husband, and I am a stay at home mom. Hard days at times, but a simple life. Simple does not mean easy, that's for sure. Sometimes, perspective helps us see the simplicity that was there all along. Sometimes, that sense of life not feeling simple is an indication that we need to make adjustments. Maybe not though. Just some extra thoughts. Green Acres is the place for me too. About the only thing I have in common with the Amish is I ride a bike. I don't have a horse. I don't have a buggy (unless you consider a truck my buggy). I have a phone. I like to watch movies. But at times I do envy their simplistic approach to life. 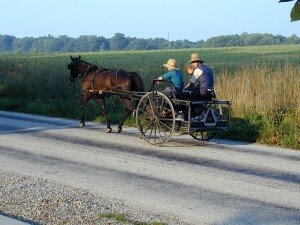 We can learn a lot from the Amish. I've made it a point to put my phone away during my days off, it allows me to fully connect with my family. Great post and thoughts. Such a simple act, putting away your phone, yet so difficult for most people. What a powerful statement you make to the ones you love when you do this. Good job!